So you’ve graduated, now what? Take a year to travel the world, living off your current savings? Your parents probably wouldn’t approve. And hence you begrudgingly begin the long, dreadful and tedious process of hunting for a job—but does it have to be dreadful and tedious? The job-hunting routine has evolved into a process that is designed to suit Generation Y and Zs. It is no longer limited to looking through the classified section in the paper, drafting cover letters and résumés to be given out in the masses to random companies. Even with the highly competitive job market, the current generation cares about working culture, office environment, team building, and other new age interests. So here are 10 job-hunting platforms for modern day young millennials who are fresh out of the academia, looking to showcase their skill sets and learn from the working professionals. “Let me refer you to this job” might be a common response from someone to an unemployed friend. Though it is a very general statement, it would be wise to leverage on social media to refer a person to a job that we would find suitable for them. With Referjobs.my, there jobs listed within their database to refer to someone who is looking for their rice bowl. The best part is if the person you referred lands a job, you will receive monetary rewards. Basically, you’re getting paid for a referral! The rewards range between RM500 to RM1500, depending on the vacancy. This platform is still relatively new but their database is growing to meet the demands of job seekers. Career resource site JobStreet is probably one of the earliest job portals founded in Malaysia. Started in 1997, JobStreet is currently the largest online employment company in Southesast Asia. For those who are straight out of university, it is recommended to start from JobStreet if you have no clue where to begin. 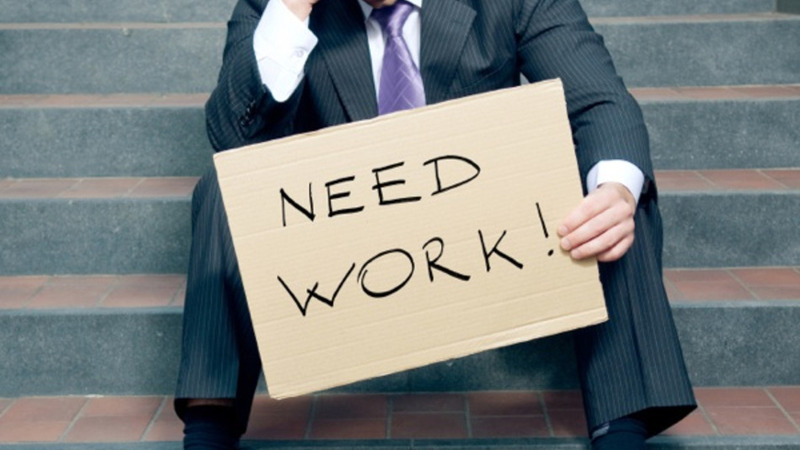 According to JobStreet.com’s survey, over 80% of employers claimed to have hired fresh graduates in 2014. Wobb.my or Wobb (Working On Bean Bags) is not just a typical job-searching platform. The website lists employers according to their companies, and job hunters are able to have a sneak peek of the interior of the office and also a closer look at the people and working culture before sending in their applications. The team just released their mobile app earlier this year so that users can apply for jobs anywhere, anytime—in a Tinder-ish style. Instead of going through the tedious process of sending résumés and filling job application forms, the Wobb app will deliver your résumé instantly to the company of your choice. Scoot only caters to part-time, entry level, fresh graduate jobs and internships in Malaysia. To get started, you can still upload your traditional resume on Scoot, however they have their own Visual CV ™ which is to simplify the application process by providing a distilled overview of what employers want to know about you. The platform is certainly a lifesaver for freelancers and part-timers so that they do not have to go through the very shady and unattractive “pls pm me” procedure on Facebook. Jobi is a data-driven matchmaker of jobs and people who help you to find reliable and better quality part-time workers effortlessly. They offer three types of employment—Part Time, Internship and Volunteer. Their platform is user-friendly and every job provides users with very specific details like salary per hour/month, and working hours so that job hunters will know what to expect. 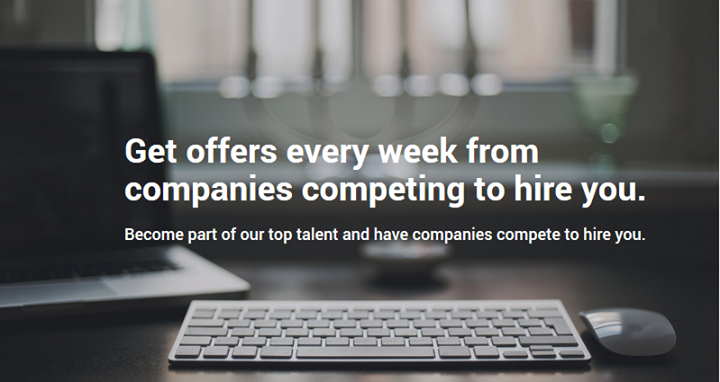 TribeHired is a social recruitment platform where companies compete to hire top talent. Each week TribeHired curates a list of the top 100 talents available to be hired in the city. The employers in their database can play videos of the talents they’re interested to hire, then they can place a bid and set up three potential dates. The job seekers are able to view all the bids and pick three interview offers they want to go for at the end of the week. Startup Jobs Asia was created after seeing the challenges of recruiting talent, which many startups faced in Asia. The team recognised the in-between gaps and aimed to create a better leverage and platform to help startups in Asia. If you are up for the challenges and excitement of working in a startup environment instead of a big MNC (Multinational Corporation), then you can consider giving this platform a try. wowintro is an online video impression platform where job hunters market themselves via 30-second videos. Rather that showing what they’ve got on paper, users have an added advantage to showcase their strengths and communication skills by taking matters into their own hands with a video to give their best impression to potential employees before a face-to-face meeting. With wowintro, a job seeker does not have to apply to dozens of jobs and worry about not hearing back from them. 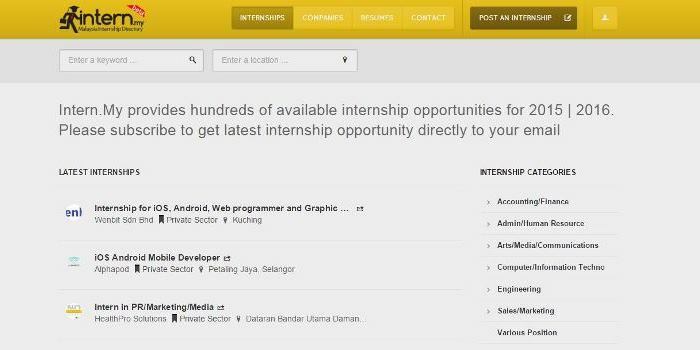 As its name suggest, Intern.My is a talent marketplace where you can find list of available internships in Malaysia. The platform is suitable for students who are seeking for internship opportunities before committing to a more permanent full-time job. Each opportunity are detailed with the Internship Duration as well as Monthly Allowance, so that you can make your choice according to your preferences. MauKerja was set up after recognising the inefficiency of searching jobs with traditional methods as well as the high engagement cost imposed by job agencies. Hence, MauKerja provides an exciting solution that will benefit both business owners and job seekers. In the platform, jobs are posted daily and systematically categorised according to locations and job functions.